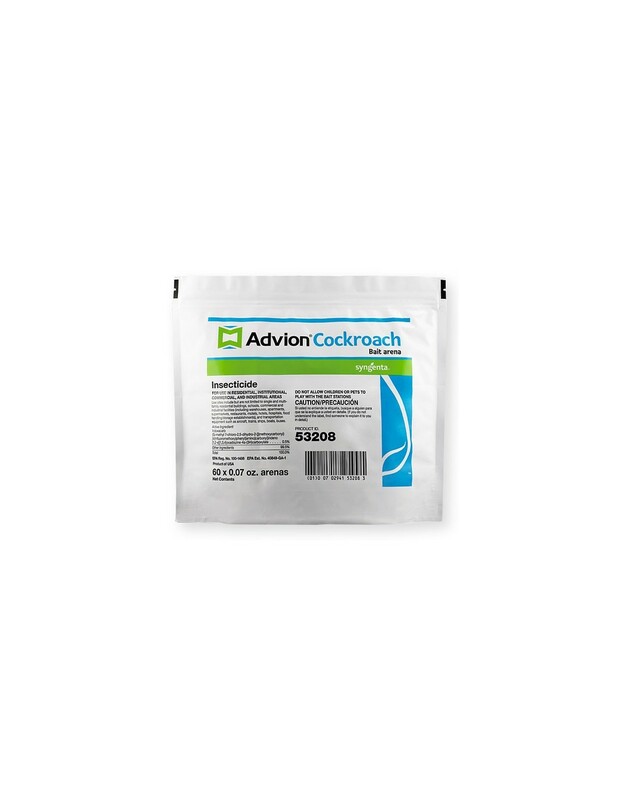 Advion Cockroach Bait Arena active ingredient works by ingestion which allows roaches to eat enough to die! Advion Cockroach Bait Arena can be used indoors and outdoors to control roach populations effectively. Foraging roaches eat the bait inside the arenas and disperse indoxabarb to other roaches where they are hiding! Use Sites: Including but not limited to single and multi-family residential buildings, schools, commercial and industrial facilities (including warehouses, apartments, supermarkets, restaurants, motels, hotels, hospitals, food handling/storage establishments), and transportation equipment such as aircraft, trains, ships, boats, and buses. 1. Thoroughly inspect infested area to determine proper Advion Cockroach Bait Arena placement and number of arenas necessary to treat the area. 2. Enough arenas must be used to provide adequate bait to control the cockroach populations present. Recommended placements: Place 3-10 bait arenas per 100 linear feet of horizontal surface primarily around wall perimeters and other areas away from walls such as but not limited to, around centrally located island sinks, cabinets, and appliances. Place maximum number of arenas with heavy cockroach infestations. 3. Place Advion Cockroach Bait Arena in areas where cockroaches frequent such as along walls or corners, under or near kitchen appliances and industrial equipment, under sinks, in cabinets, and utility areas. 4. Each Advion Cockroach Bait Arena may be placed on a vertical or horizontal surface using an adhesive. 5. Inspect arenas periodically and replace depleted bait arenas as needed based on severity of the initial cockroach infestation and a continuing control program. For arenas placed outdoors, replace every 3 months, or sooner if arena becomes depleted of bait. 6. 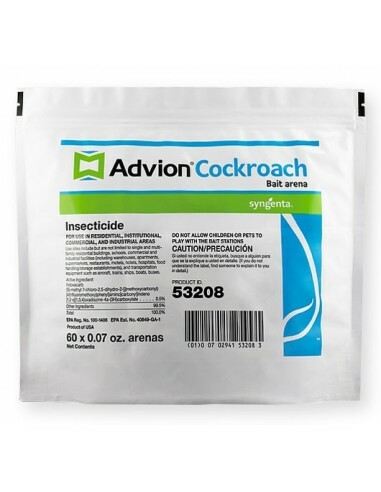 Avoid direct contact of Advion Cockroach Bait Arena with broadcast, spot, or crack and crevice directed pest control applications. Do not place bait arenas in locations recently treated with other pest control products as spray residues could render the bait less palatable to cockroaches and reduce effectiveness of the bait arenas.